Welcome to day one of Stamp Highlights! 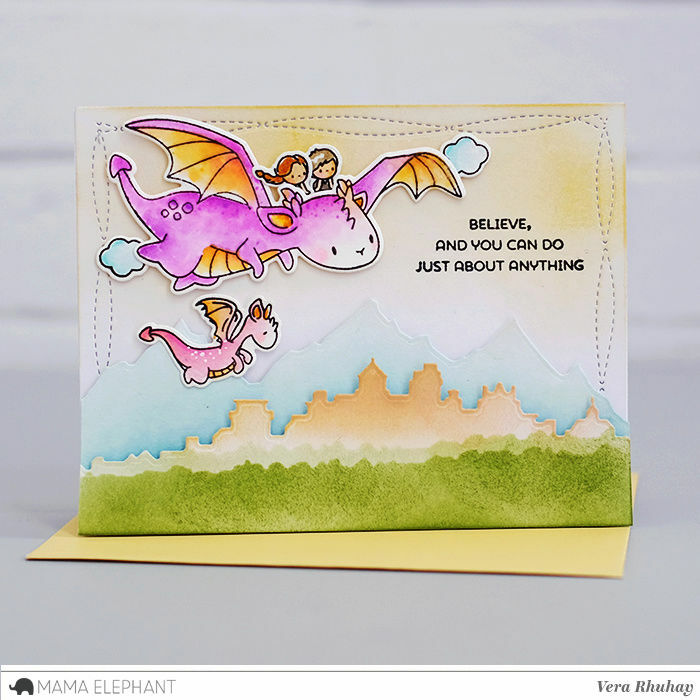 For the the next few days, we will be highlighting the Design Teams projects with the new Mama Elephant release! 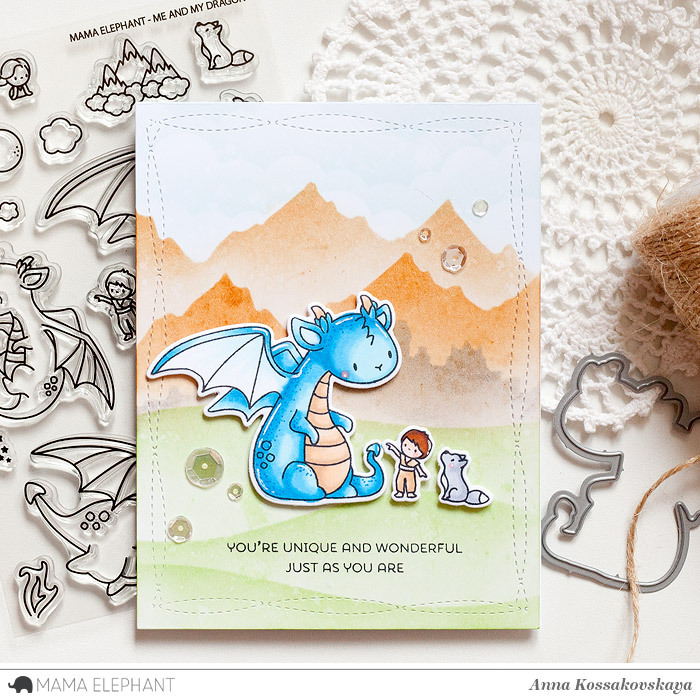 Today we are immersing ourselves into the magical world of Dragons with the new Me and My Dragon stamp set! Anna created so amazing landscape for the dragon and his small friend! 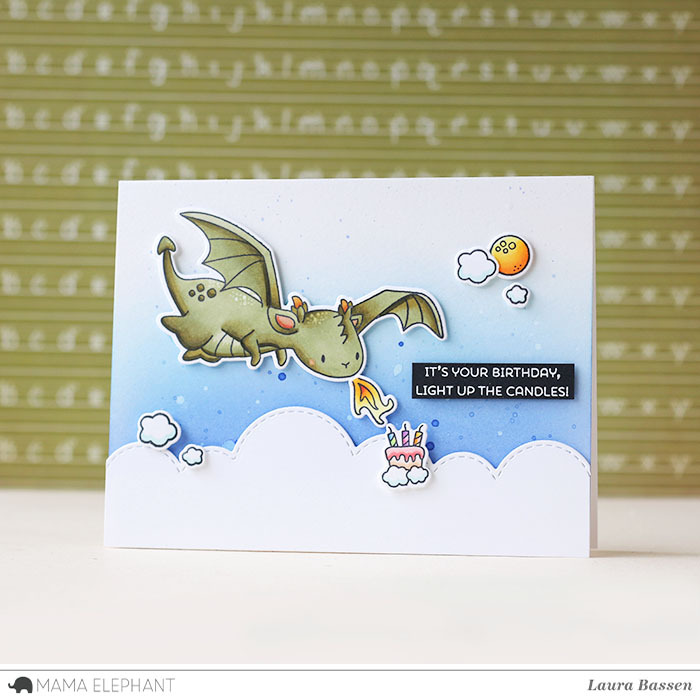 Laura made a fun birthday card using one of the Landscape Trio-Creative Cuts for the clouds. 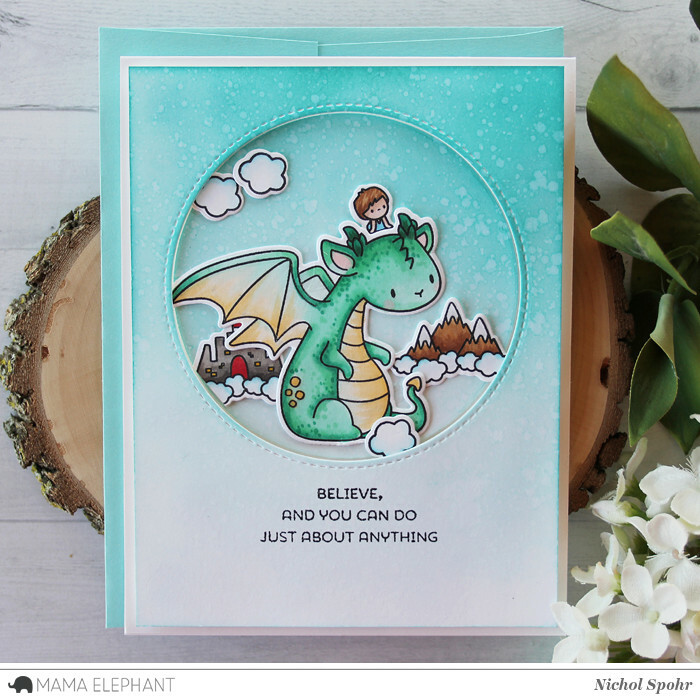 Nichol highlighted the dragon scene with a Basic Circles Creative Cuts Die. 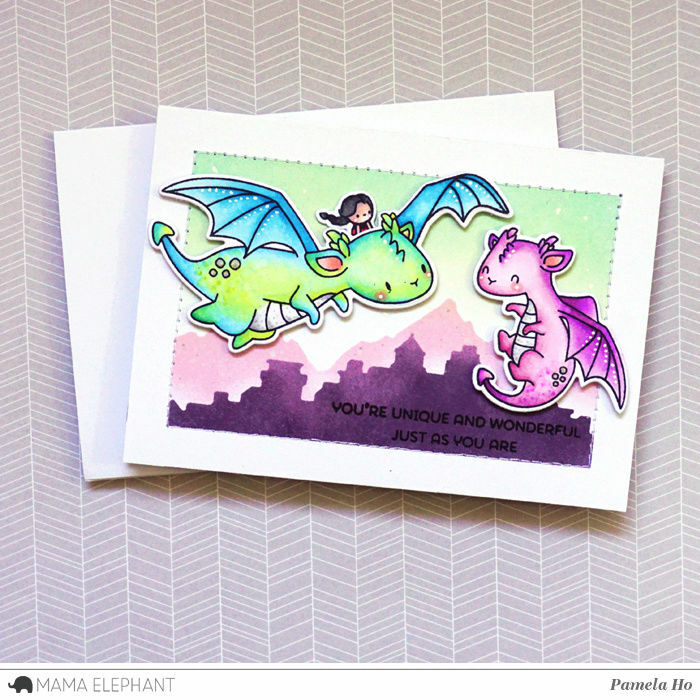 We love the way Pamela coloured her dragons! Vera made an encouragement card with pretty pastel colors. 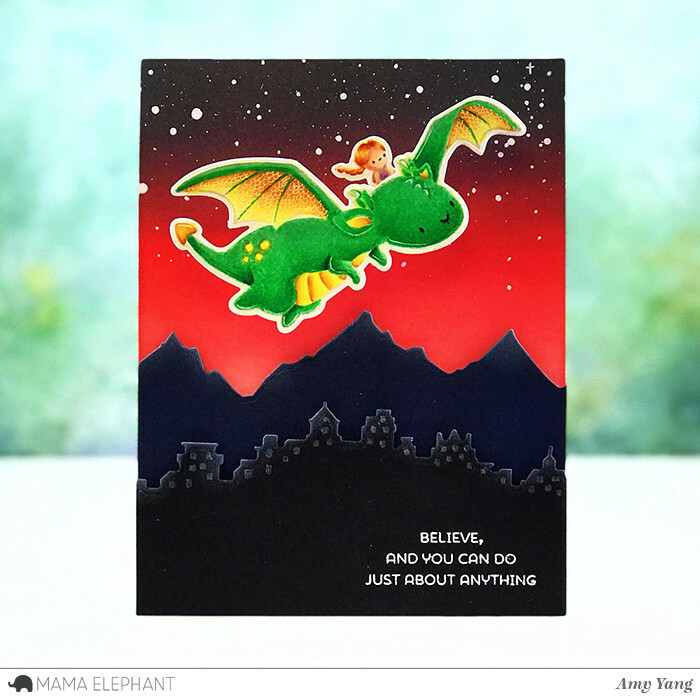 We love Amy's fun interactive wobble card with no-line coloring and the gorgeous night sky. Ohhh my... these are gorgeous! I'm going to have to buy these stamps!!!! Can’t wait to play with these stamps!!! Incredible cards!!! In LOVE with this dragon!!! Such fun cards! Love the dragons!